Hi everyone, I have overstock of items from my shop that I'm doing grab bags of:) - one of tags/badges and one of stamps. 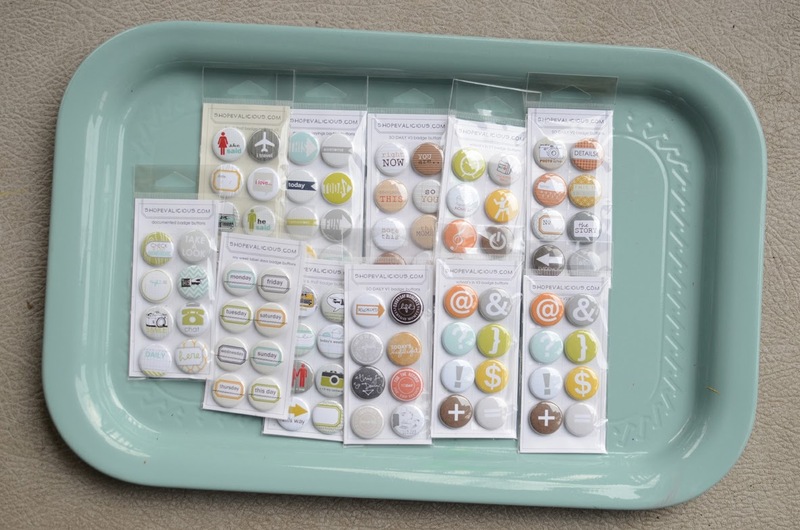 It's a great way to add some fun tags/badge buttons, rubberstamps and puffy stickers to your stash if you haven't owned any Evalicious products before or even if you have;). 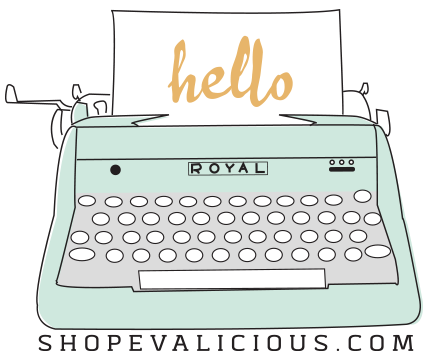 Please help me make room for the new products that'll be arriving for shop update in January 2014. These grab bags will consist of various items from these lines: This & That, So Daily, My Week, Documented, School's In, as well as a few items from Love You Lots and Real Life. WHEN: Nov 29 - Dec 2 (or while supplies last). 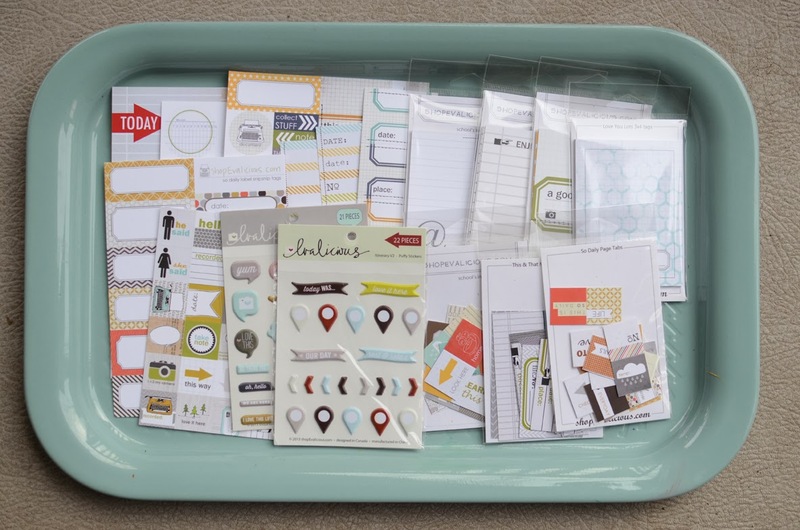 WHAT YOU'LL GET: $25-30 of various rubberstamps from collection 1,2 &3. *PLEASE NOTE: because of the anticipated increase in shop traffic, please expect that orders will take a little longer to ship (up to 1.5 weeks). 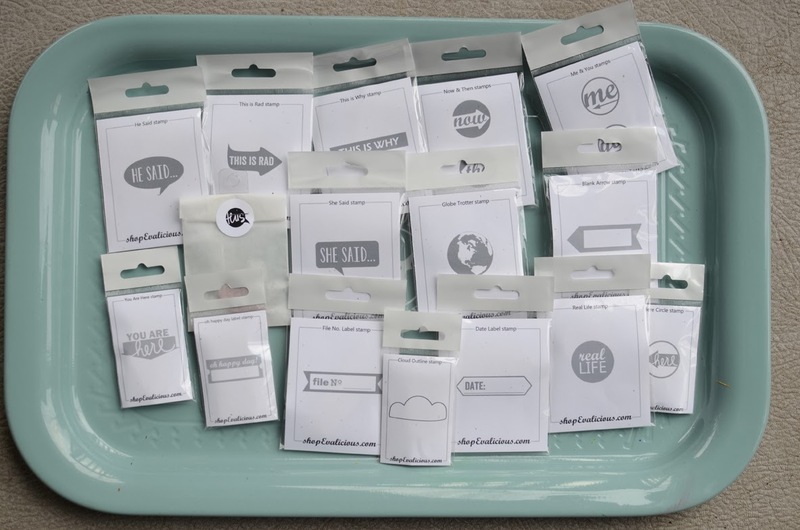 If you order more than one of the tags grab bags, you will be getting doubles of most tags. These items may be loose in baggie and not in original packaging. FOR RETAIL ORDERS ONLY. GRAB BAG #1 may consist tagss that are not shown below. GRAB BAG #1 may consist badges that are not shown below. GRAB BAG #2 may consist of these stamps and more. If we bought 2 set, do we have the same things twice? Thanks listgirl! I just grabbed two of the mystery stamp sets. Can't wait to see!